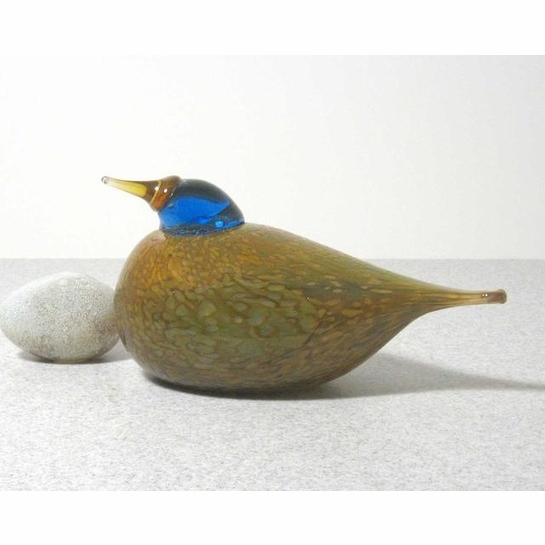 More about iittala Toikka Dotterel The English word "Dotterel" dates back to 1440 as an insult to someone considered foolish or easily duped. It's unsure which usage came first, but the Dotterel bird shares this name due to its unsuspecting nature which makes it easily caught. 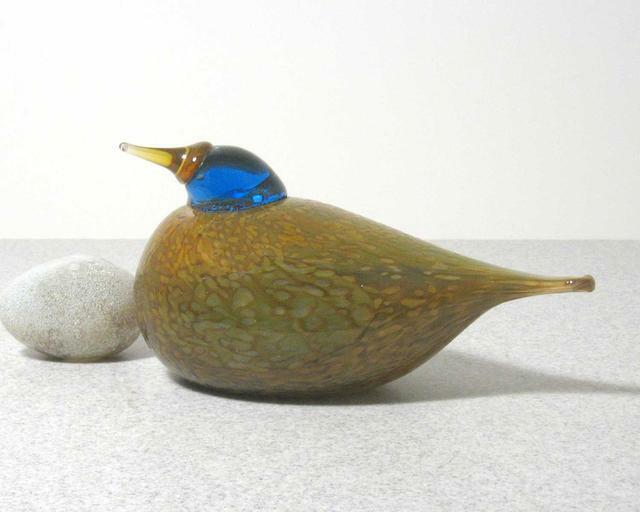 With its translucent beak and blue head slightly cocked, this glass bird's posture is true to the the tame and trusting disposition of the species. Dotterel's beauty can not only be seen but felt, thanks to the textured plumage the glassblowers in Finland have skillfully achieved. The wings remain smooth ovals on either side.